To encourage children to think about the Sun and the effect it has on the Earth and see that they too can bring light and warmth to other people. You will need a large piece of paper and a pen. Find a picture of the Sun or download an image from the Internet (for example, visit: www.nasa.gov/images/content/706436main_20121114-304-193Blend_M6-orig_full.jpg). – The Sun is actually a star. – The Sun is the nearest star to the Earth – that is why it looks so big! – The Sun is a ball of burning gas. – It takes about eight minutes for light to travel from the Sun to the Earth. 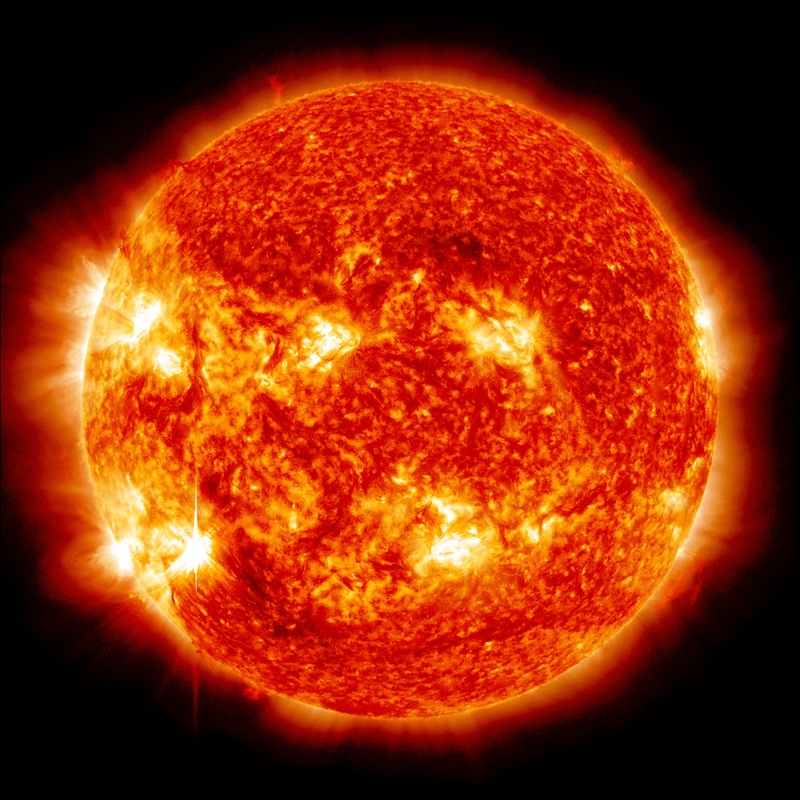 – The Sun is the largest object in our solar system. – The Sun is so big that the Earth could fit inside it more than a million times! – You should never look at the Sun directly. – You should wear sunscreen to protect you from the Sun. – Without the Sun, the Earth would have no heat or light so nothing could live on it. Find the ‘You are my sunshine’ song (for example, at: www.youtube.com/watch?v=9IMYxkkOJco) and have a means of playing it during the assembly. You may like to tie this assembly in with a charity fundraiser, emphasizing that the children can bring warmth and light to people who live in other countries. Explain that, although we often draw the Sun in this way, it actually looks very different. Show them the image mentioned above. Ask the children what they know about the sun. If they suggest the answers that are on the cards you prepared, ask them to come to the front to hold up the information. If the children think of information that you haven’t written on a card, ask them to come forward to write it on one of the spare cards as you continue with the assembly. Once the children have made their suggestions, go through any of the other facts on the cards that they’ve not mentioned, asking children to come up to hold the cards. Emphasize the last point listed above – that if there was no Sun, the plants would not grow . . . so the animals would have nothing to eat . . . so we would have nothing to eat because we eat meat and plants. Emphasize, too, that all of us need to be kept warm or we would not be able to stay alive. Without the Sun, the Earth would be very cold indeed. Ask the children to think about why a person could be called someone’s ‘sunshine’. Ask them if they have ever been outside when the Sun has suddenly appeared from behind a cloud. How did they feel? Explain that, just like the Sun, as people we can bring light and warmth to those around us. By showing people that we care, by treating them with respect, by listening to them and encouraging them, we can make people feel very happy. Sometimes people can feel sad, as if a dark cloud is blocking out the sunshine in their lives. By our actions we can help move that ‘cloud’ and bring light (happiness) to them. If you are tying this assembly in with raising funds for a charity, link this thought to the work the charity does at this point. Remind the children that even a smile can bring sunshine (happiness) to someone else! Ask the children to think about the people seated around them. How could they make them happy? Ask them to think about the people in their families – how could they be like sunshine to them? Ask them then to think about the people in school – what could they do to bring warmth and light to them today? thank you that we can all make a difference to the people we meet every day. Thank you that we can make a difference to the lives of people who live far away, by our generosity and kindness. Please help us to be people who always think about others and help us to bring light and warmth into people’s lives. You may like to play the ‘You are my sunshine’ song again as the children leave.